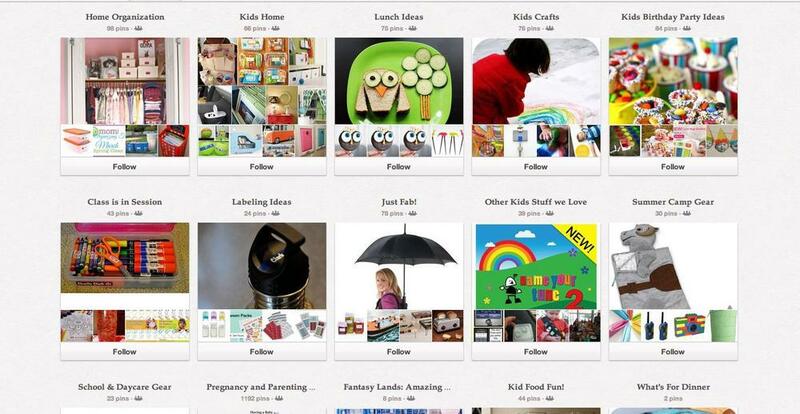 Pinterest is a visual way to share, collect and curate information. 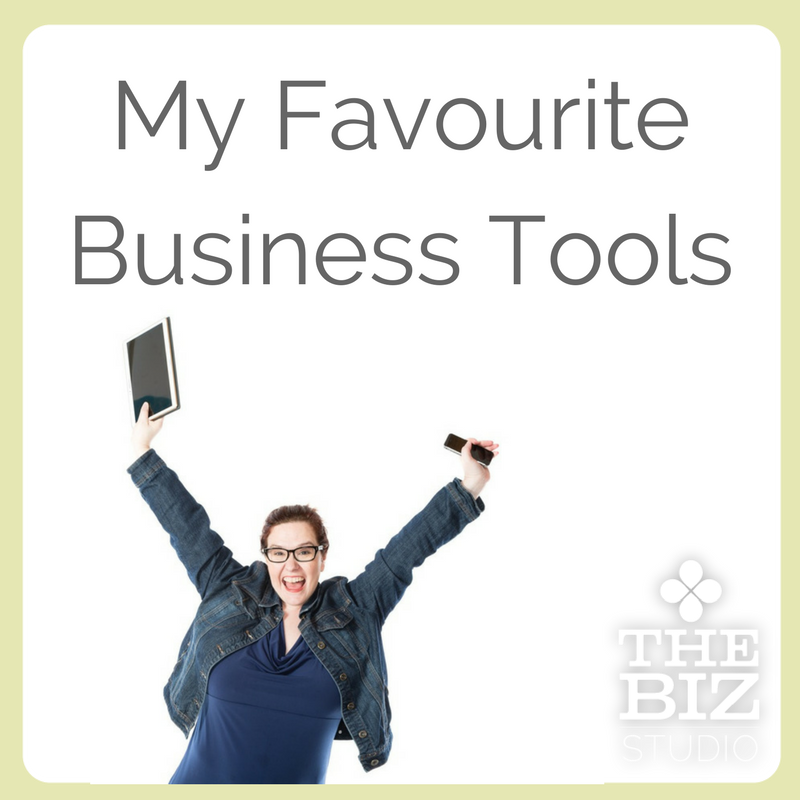 You can bookmark, or pin, interesting content, how-to articles, quotes or even places you’d like to go. Pinterest isn’t just a great way to showcase your business, your products and your creativity, it’s also a great way to to share great ideas beyond the scope of your speciality with your audience. Finding interesting and relevant information and images for your audience and putting it together in one spot, not only helps to drive traffic to your website but it can also foster good relationships with other, complimentary businesses. And really, that’s what using social media effectively for business is all about: creating relationships. 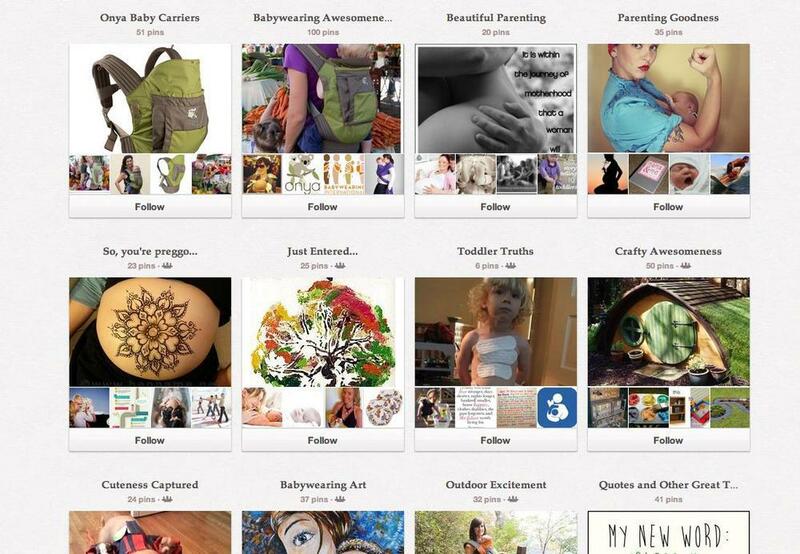 Even though Onya Baby sells baby carriers, they do a great job of building their community with boards that speak to their audience about a lot of different topics that are not directly related to baby carriers. Parents have learned that when they visit Onya Baby on Pinterest, they will always find interesting and relevant information, which, of course, keeps them coming back. Notice that while only one of their boards focuses on their product, many others feature content that parents are likely to find interesting. Another Pinner we think is pretty awesome is Mabel’s Labels. Like Onya Baby, they showcase their labels but also create a community where parents can find birthday party ideas, lunch ideas, recipes, pregnancy and parenting tips and ways to organize their homes. The Dave Thomas Foundation for Adoption illustrates this point well. Plus, as a bonus to creating your own community resource centre, you’ll be creating a business networking community that will, hopefully, share your Brand with their own audience, too. Pinterest, the virtual scrapbooking site, has fast become one of the hottest social media platforms around. While you probably spend a lot of time sharing interesting links on Pinterest, did you know that it’s also a great tool to spread the word of your products and services? Especially for those businesses that provide design, fashion or retail services. 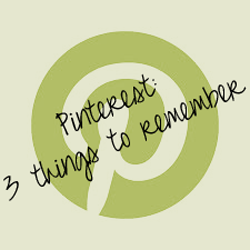 When using Pinterest, however, there are three crucial things that you need to be aware of. There is nothing more frustrating than reading a great teaser on Pinterest, clicking the link to read more, only to have the link fail. 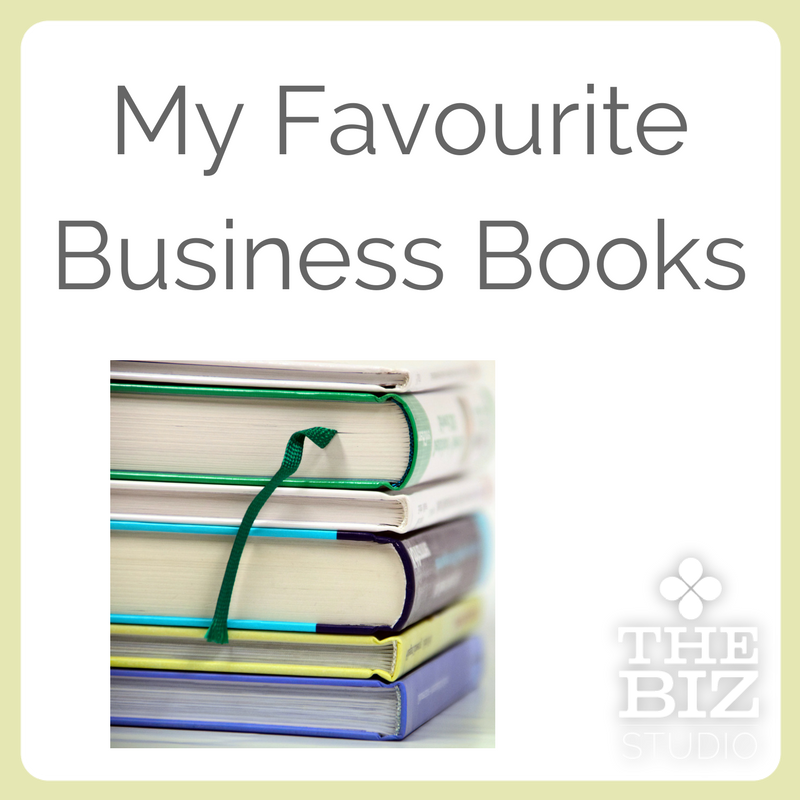 When you’re pining for business, this can cost you clients, credibility and business. Please take the time to ensure that each and every link you post takes your readers to the right place. There is nothing more frustrating than a broken link. Like with most social networks used for business, a valuable piece of advice is this: Do not share any link unless you’ve read it first. In social media, sharing is endorsing. Even if the link you are sharing comes from a seemingly reliable source, there are things that can pop up in an article that may not be appropriate to share with your audience. There may be some questionable links at the end of the article or advertisements that do not mesh with your business values. So unless you’ve looked at the whole article, image or video, do not hit that Repin button. 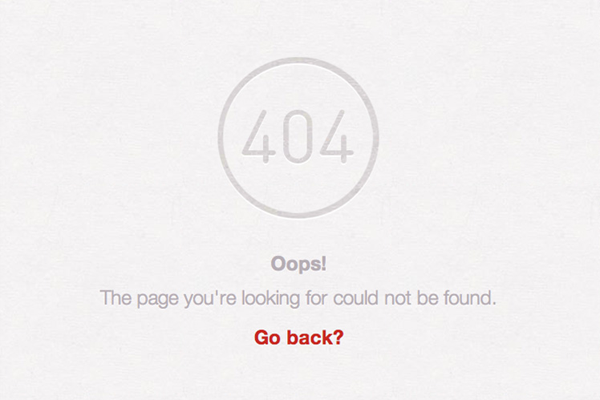 When you’re sharing a site on Pinterest, make sure you link to the permalink, and not to the main page of the site. A permalink is the URL that will bring you to the specific page the post can be found on, and not just the home page of a website. With most websites, people post new content on the homepage so it changes often. What was on the homepage one day, may be gone the next. By going deeper into the site to find the right page and linking to that specific URL (or permalink), you’ll be able to ensure that your audience will always be able to find what they’re looking for. For small business owners, Pinterest can prove to be a valuable, fun way to build brand awareness via visually driven content. It’s a great way to highlight your products and share your expertise to show your audience who you are and what you do. As an added bonus, Pinterest is an incredible driver of traffic to websites - more than Google+. Youtube and LinkedIn combined. 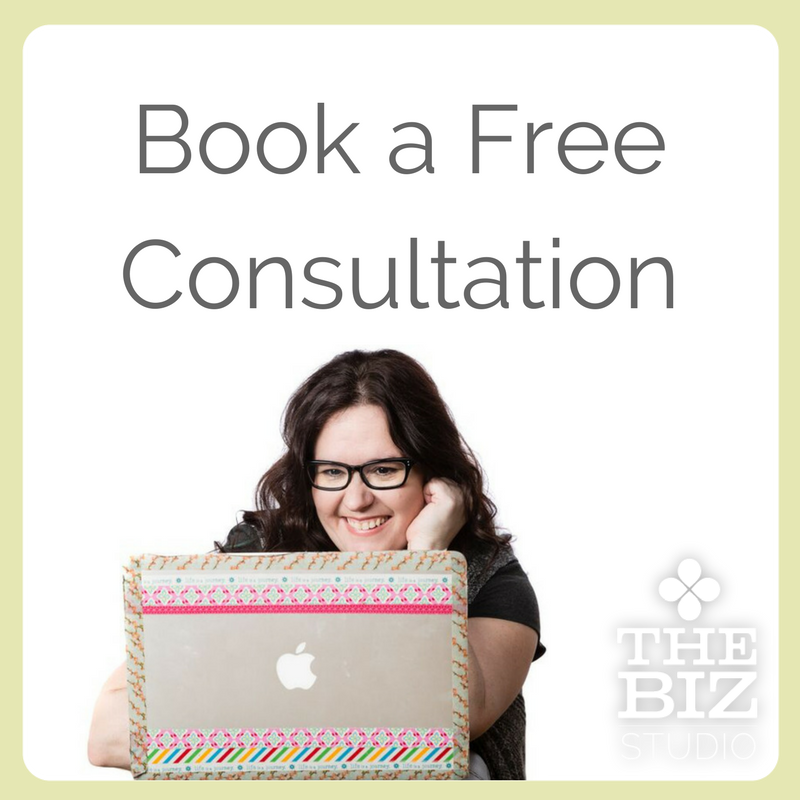 While you don’t need to invest hours of upkeep each week, with a little TLC, you could be pining your way to business success. Have you joined Pinterest yet? Please follow us on Pinterest for more great tips and information. Pinterest: How are businesses using it? Pinterest is one of the fastest growing social networks. It’s a visual bookmarking site, allowing people to categorize bookmarks and share them with their networks. Most understand that Pinterest is eye candy and fun to spend hours browsing through, but don’t understand how it can be useful for business. 1) Pinterest is an incredible driver of traffic to websites - more than Google+. Youtube and LinkedIn combined. 2) ~40% of people who click through to a site from Pinterest purchase the product they clicked on. If Pinterest is driving that much traffic to sites, figuring out how your business can be a part of it is definitely worthwhile! - Create boards that are related to what you do. - Share information of value to your customers; not all this information should be yours. - Write enough information in the pin description for people to understand what they will be clicking through to, but not so much that they don’t need to click through. Who is doing Pinterest well? Oprah: Oprah could never run out of things to share on Pinterest. A few notables include pins from her bookclub, about food, and quotes she loves. US Army: sharing everything from celebrating veterans to army inspired food, the US Army Pinterest board is a feel good/community building space for the army. Four Peaks Brewery: bringing together lovers of beer they have boards on kinds of beer, cooking with beer, beer gifts and of course, just fun pins about beer. Petplan Pet Insurance: Pet owners love animals. Petplan shares tips on keeping your pet healthy, shares pet blogs with their community and lets people take a look inside their organization. This is just a few examples of businesses using Pinterest in ways that create value for their followers, build community - and for some, even lead to sales. What other notable Pinterest accounts do you follow? We're very pleased to have Gwen Leron guest posting today with advice for you on using Pinterest for your business. Pinterest is the newest, the hottest and the most addictive social network on the block, but once you’ve created an account for your business, how can you convert your newest guilty pleasure into more traffic for your website? Set Your Profile Up Properly - Go into the settings for your account (click on your username in the top right hand corner and choose Settings from the drop down). Make sure to upload your logo, write a small bio and enter your website URL, Facebook and Twitter info so they become part of your Pinterest profile. Also, make sure the “Hide your Pinterest profile from search engines” option is set to “off”. The more ways you have for followers to get to you, the better. Make Your Pins As Much About Your Followers As It Is About Your Business - You know your customers best and you know what their interests most likely are... chances are that you have the same interests too. Take the time to create boards that will cater to your customers’ interests and what you think they would like to see. While it is important to stay on topic, it is OK to bend a little bit and show some of the personality behind the business. Enjoy your pinning time, Pinterest is supposed to be fun! Don’t Go Crazy With Pinning Your Own Content - No one wants to log into Pinterest to see pins upon pins from the same business promoting themselves....if they wanted to see everything you offered in one spot, they would go to your website, right? Balance is key. Pin a wide variety of interesting things, with a bit of your products sprinkled in. This is also a good way cater to a wider audience outside of your customer base and to gain new followers. Pin Properly - There are so many amazing pins that sadly link back to nothing. This will be frustrating for your followers, especially if it is done over and over again. Be sure that when you pin something, that you are linking back to the actual source from which it came. Before re-pinning something, be sure that you click on it first to see if it takes you to where it is supposed to. Also, when re-pinning, be sure that you make sure the description is accurate, brief, and to the point. Promote Your Pinterest Boards/Pins Through Other Channels - Get the word out that you are on Pinterest! Share pins on your Facebook page, on Twitter, on your blog, and in your newsletter. This will help you gain followers and hopefully help to drive more eyeballs to your website. Gwen Leron is a writer, a web content manager and owner of Nayla Natural Care, an online store that specializes in carrying the best organic, natural and eco-friendly products. 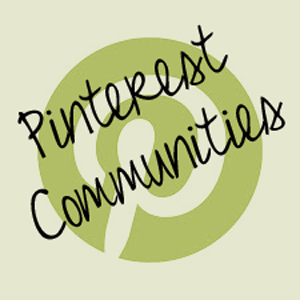 Keep up with what she is pinning by following Nayla Natural Care on Pinterest.